"Since I've come home, well my body's been a mess" This is the line that has been playing on and on in my head right now and is from Amy Winehouse's song titled: Valerie. I love Amy Winehouse's unique voice; but never liked the fact that she had developed an addiction to various vices. As an artist, she will really be missed. 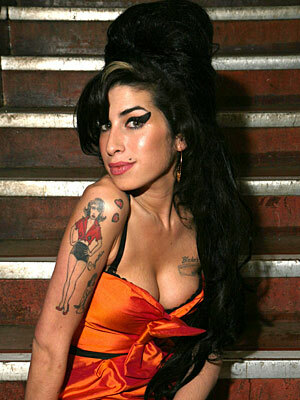 Amy Winehouse was found dead at her home in London this July 23, 2011, 3:54PM. The cause of death is still unexplained; but according to Nick Buckley, the Head News at Sunday Mirror, drink and drugs overdose are the probable cause. She was suppose to celebrate her birthday on the 14th of September (same as my Dad's birthday); and yet, at the early age of 27, she has passed away. Life really is short. Followed you by the way! Nice blog site!! Although I always considered her as one-hit wonder, she lived her life the 'rehab' way. She could have made more songs, sayang.